Practically everyone I meet tells me they want to write a book. Okay, that probably happens because I’m a book writing coach, but still, there is a very large percentage of people who have had passing thoughts of writing a book or a deep desire to do so. First I hear that you don’t have time to write a book. I understand completely because life itself is demanding and we all have responsibilities. Second I hear that you are confused about the process and I get it. 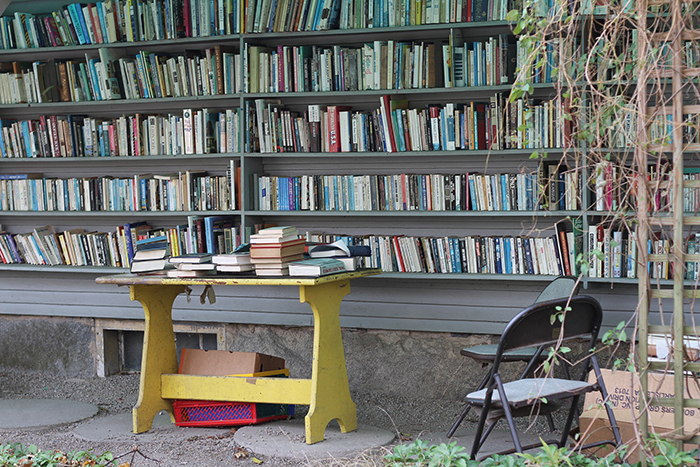 The book publishing market changes daily so how would you know all the ins and outs? And finally, I hear that you have self doubts as to whether or not you are even good enough to be a writer. Believe me I’ve had these thoughts too! As a book writing coach, seer of other people’s genius, and motivator at large, I help people reduce or eliminate these three obstacles so you can easily write and publish a book in 90 days. I’ve created a blueprint that breaks the writing and publishing process down into three stages. I’m going to share that with you here so you can get started now and write your own book. Before you can even begin to write a book you need a solid foundation. If you know what you want to write about that’s a great start but you still need to fill in some other key elements. I call this first stage Discovery. When I first set out to write a book I knew my topic and I thought all I had to do was create a killer outline and write. I must have re-written that outline a hundred times (making sure I didn’t leave ANYTHING out and re-arranging the order constantly) before I finally got tired and gave up. The problem was that I hadn’t built the foundation. Later, through trial and error I discovered myself as an expert in my field. I also discovered who my ideal reader was and I found my point of view, my voice as an author. So Discovery is stage one of writing a book. It needs to happen before you even pick up a pen to write your first sentence. Stage one of this blueprint helps you overcome that fear of self doubt because you discover how you are unique, how you are completely qualified to write your book, and how, when you connect with the right audience your words will resonate and help others. Writing is a skill that takes practice. You don’t need to have a degree in writing to write a book but you do need to learn how to create a structure for your book so that you can develop both your quality and quantity of content. The development stage involves researching, outlining, and what I call getting into flow (creating a habit of writing). When you’re in a flow state, time becomes irrelevant – everything outside of what you are focused on seems to be suspended, like in those movies where everyone stops yet one character is able to walk around the room. In flow, you get to be that character. If time is your biggest obstacle to writing a book, you’ll definitely want to pay attention to this stage of the process. By taking time out first to research then develop a clear outline (based on what you discovered in stage one), the writing process happens much faster. When I got to the writing part of my book using this blueprint, I actually completed it in about two weeks. Trust me and develop your ideas through research and organization before you write them down. Once your book is written it’s time to consider how and where you will deliver your book. There are many choices to be made at this stage. Will you self publish or look for a traditional publisher? What format will you sell your book in? What sales channels will you use to sell and distribute your book? And finally how will you get your message out to the people that your book is available? Stage three, the delivery stage is one that I find most first time authors ignore because they simply don’t know any better. The result is often very little sales and a discouraged writer. The key here is to have a plan that you can follow and check items off as you go. You won’t do everything perfect. You’ll learn lessons along the way. But that’s why I make it my job to learn all the options and trends in the industry so you don’t fall into the pits and get lost. The blueprint I use for myself and my clients has been proven to help you turn your passion into a written and published book in 90 days. If you take the information I’ve given you in bullet points here and work on each stage for thirty days you can do it too. Want some help figuring out what your next step in this process should be? Book a Clarity Consultation with me to find out! Write more, write better, finish your book! 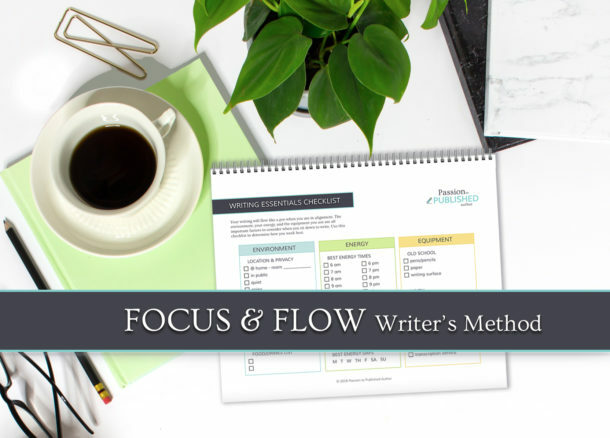 Enter your email below to receive the Focus & Flow Writer's Method Template and video training. You'll also receive my occasional newsletter on how to turn your passion into a published book!